After the big news in 2017 of the first ever issue of a silver Krugerrand, we wondered if its success would lead to more choice from this South African mint. 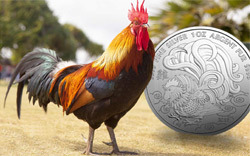 The relatively recent release of a superb dinosaur-themed bullion coin called Archosauria suggested the South African Mint had enhanced plans for the market, and now that’s been confirmed with the launch of a new monthly series of one-ounce fine silver bullion coins called Big Five. 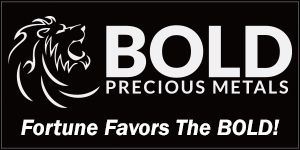 The African Big Five are a popular subject on coins and foils. 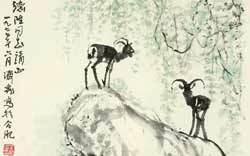 Considered the five most dangerous animals on the continent for hunting on foot, each of them stand out in their environment, even the herbivores. 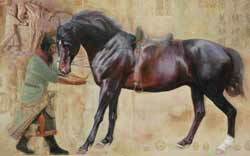 The lion, leopard, rhinoceros, elephant, and Cape Buffalo are all quite capable of killing humans and frequently do. The Cape Buffalo in particular, seems to have a mean streak a mile wide. 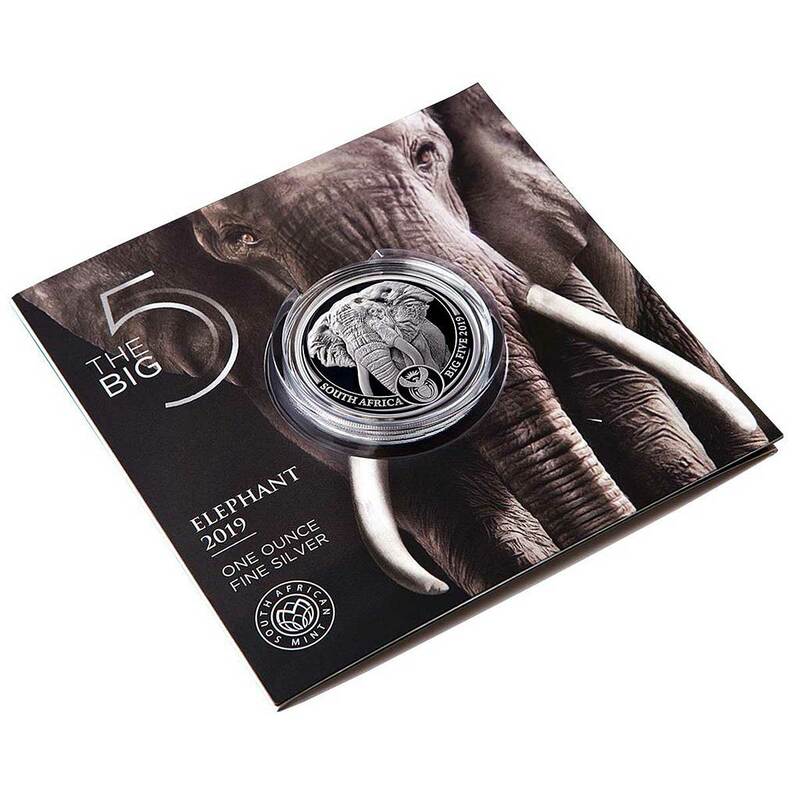 The new Big Five bullion coin programme is a simple, but quite intense one. 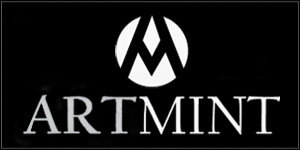 The Elephant coin featured here is the first and it will be followed up on a monthly basis by the others. 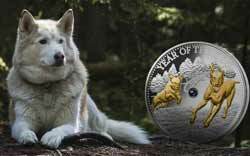 It’s quite an ambitious schedule, but it’s stretching it a little to call these true bullion coins. Why? Well first of all, the mintage of 15,000 is well into semi-numismatic territory and you should expect premiums to reflect that. 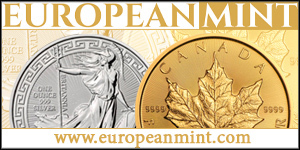 Indeed EMK, for example, have these at €35 on release – €5 higher than the Archosauria and double that of a Krugerrand. Secondly, these are no tube-packaged item, but each coin comes in a themed and illustrated card blisterpack that’s packed full of information. 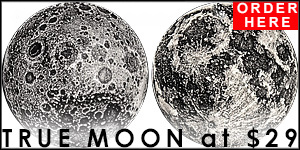 If you can get one cheap, they’re a no-brainer buy, in my opinion, but if you can’t, treat them as a cheap proof rather than an expensive bullion coin. 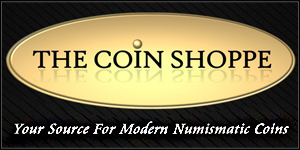 The first coin is beautifully done. 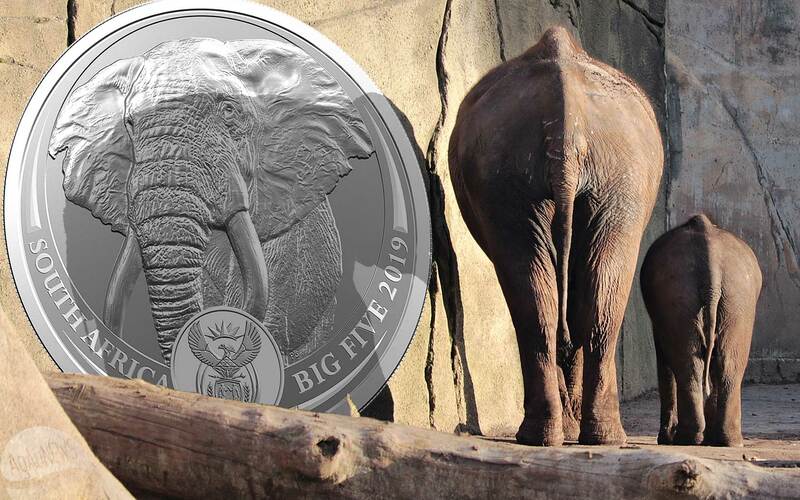 It’s a vastly superior design to the Somali Elephant coin and we’d actually love to see a true proof version. That doesn’t just apply to the reverse face, as the obverse is at least as good. 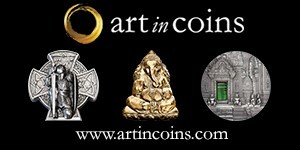 rather than describe the coin we’ll let the pictures do the talking. If the rest of the series is designed to this standard it will be an impressive set once completed. Not one for the stacker, perhaps, but collectors will want to check this one out. Available now. 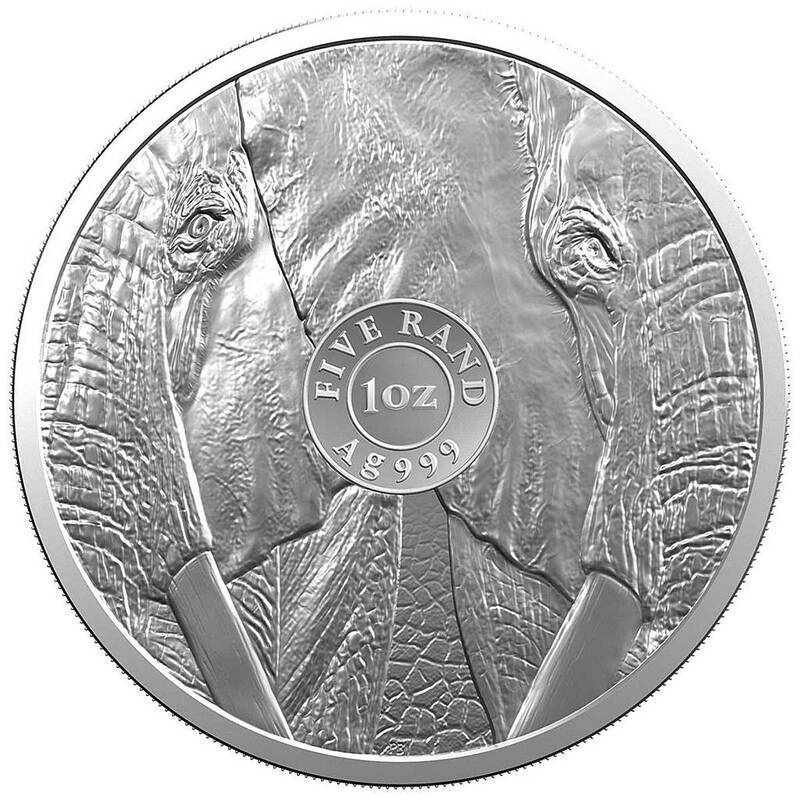 The South African Mint celebrates Africa’s unique natural heritage by embodying the strength and beauty of the “Big 5” in this new series of fine-silver brilliant uncirculated legal tender coins. 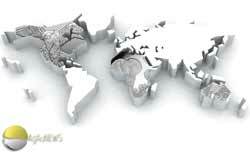 “The Big Five” term originated when big game hunters visited the shores of Africa to shoot for trophies, and locals warned them about the five most dangerous animals in Africa: the Elephant, Lion, Leopard, Rhino and Buffalo. 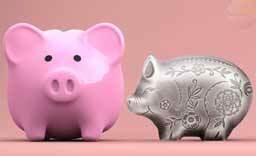 The coins will be issued every month, with the first instalment in February 2019. The first installation features the African elephant. 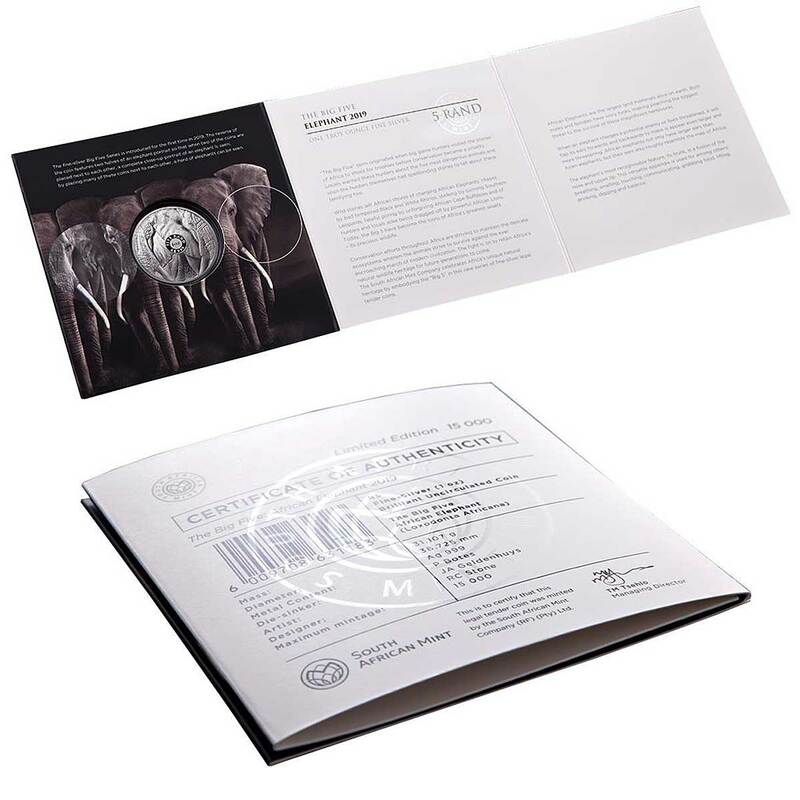 From its versatile trunk and imposing tusks, to ears that flap forward as a sign of intimidation, the African elephant is a symbol of majestic strength and family unity. It is also the largest living land animal on earth, and one of our most intelligent species. 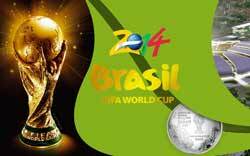 REVERSE: The reverse of the coin features two halves of the face of an Elephant. 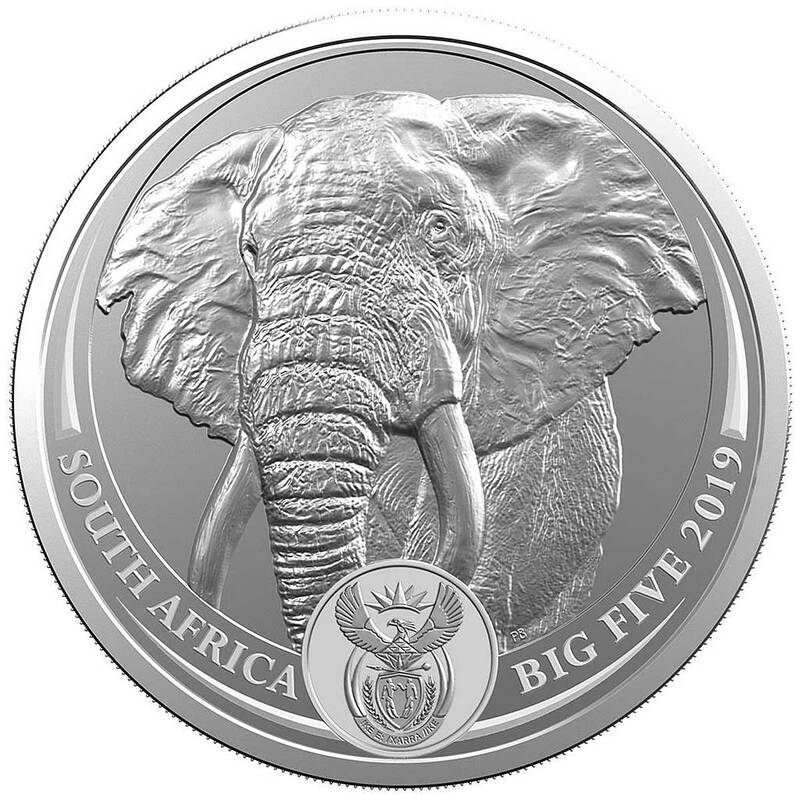 OBVERSE: The obverse design of the elephant coin is the close-up of the majestic creature, with its ears flared and trunk and tusks dominant, together with the words ‘South Africa’ and ‘Big Five 2019’, as well as the country’s coat of arms.